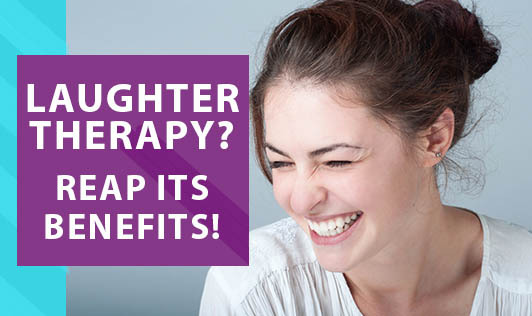 Laughter Therapy ? Reap its Benefits! Amazingly, the concept of laughter as medicine has been accepted since ages. Laughter undeniably helps children and people of all age groups to overcome miserable and stressful situations. One of the finest benefits about laughter is that it puts the people in a positive frame of mind and gradually makes them positive thinkers. Strengthens the immune system - Reduces the stress hormones and helps fight against infections, thereby increasing the immune cells. Triggers the release of endorphins - It reduces the pain and gives body the sense of well being. Reduces the anxiety and depression - Studies have shown that laughter has benefited many people who were on anti-depressants and tranquillizers. Control high Blood pressure - Relaxes the muscle for easy blood flow and thus helps in reducing the blood pressure caused due to stress. So, supplement your life with laughter and you will reap its benefits some way or the other!